With a background in ceramics, Tracey Weiss works in a variety of mediums with a current emphasis on repurposed materials. 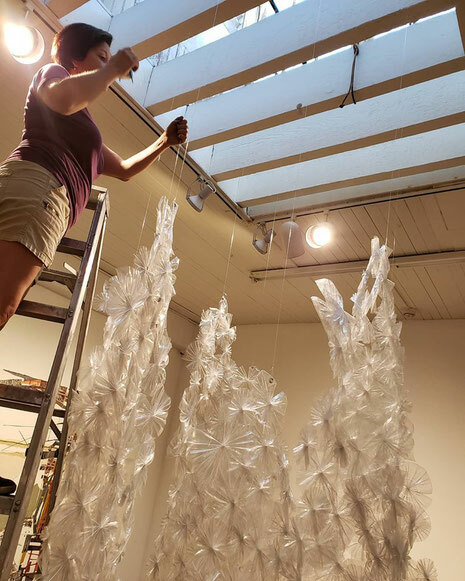 Her work ranges from sculpture to installation. She is currently a faculty member at Cerritos College as well as the Torrance Cultural Arts Center. She has worked at a number of colleges in southern California, and exhibited in a number of galleries as well as alternative venues. Originally from San Jose, Tracey currently lives and works in Long Beach, CA.